I was invited to Laneige ION Store Opening Sky Party and the dress code for this party is lagoon blue. I have a lot of blues but not the dressy but more of a funky kinda design. 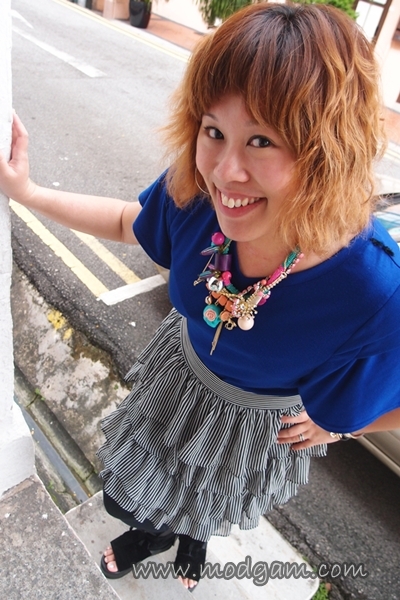 I was pondering over what to wear and decided to match my funky padded Forever21 blue top with my fluffy skirt and pair it with an awesome necklace which I find it most “LAGOON”. I call it treasures from the lagoon! This necklace is soooo apt! 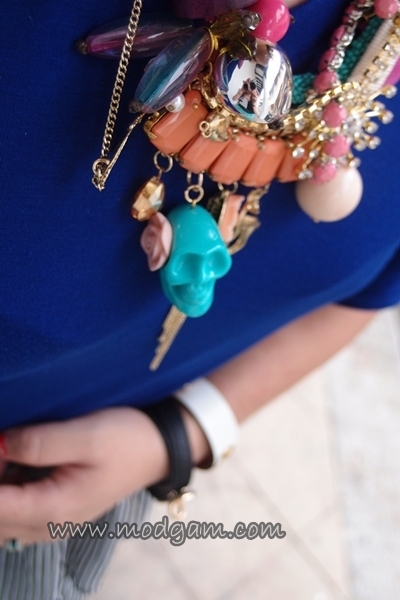 It’s as though its dug from the buried treasure chest with diamond blings, skull, flower, pearls, colored jewels… love it! That’s a really nice outfit, I love the skirt! The colour of that top is vibrant and really suits you! So CUTE – I love every bit of that outfit!